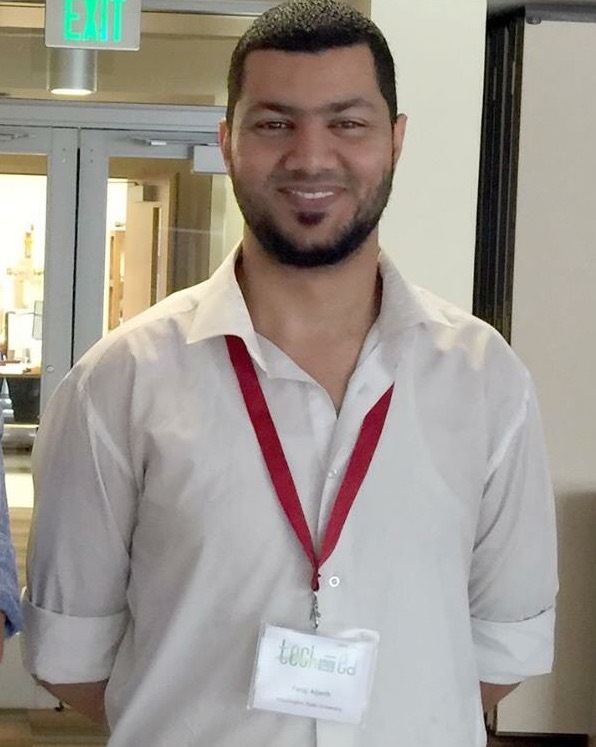 When Inside Higher Ed first interviewed Faraj Aljarih a year ago , he was unsure of his plans. Then a student in a master's program focused on teaching English to speakers of other languages at Washington State University, he’d wanted to stay at Washington State for his Ph.D. But he also wanted to take a trip home, to Libya. At that time, the first of what turned out to be three versions of travel bans imposed by the Trump administration meant that if Aljarih left the United States, he couldn't come back. The third and current version of the travel ban, unlike the first, technically allows Libyans to come to the U.S. on nonimmigrant student visas. But Aljarih won't be applying for one. In the year since the Trump administration imposed its first travel ban blocking entry to the U.S. for nationals of seven Muslim-majority countries, including Libya, the specific terms of the travel restrictions have shifted amid an ongoing battle over their legality. Public universities (including Aljarih's alma mater, Washington State ), have been involved in legal challenges to the bans, and their arguments about the negative effects of the travel restrictions on their ability to recruit international students and scholars have been important in helping states that have brought the legal cases establish standing to sue. The first ban, introduced a week after President Trump's inauguration, blocked entry into the U.S. for individuals from seven Muslim-majority countries -- Iran, Iraq, Libya, Somalia, Sudan, Syria and Yemen -- for 90 days. The ban applied not only to new visa applicants from those countries but also to individuals who already held valid visas, including international students and visiting scholars on U.S. campuses, who under the terms of the first ban would be unable to return to the U.S. if they left the country. After the courts halted the first ban, which caused chaos at U.S. airports and left some international students and scholars who were outside the country at the time it was issued stranded overseas , the president announced in March a second 90-day ban to replace the first. The second ban  encompassed nationals from six Muslim-majority countries -- Iraq was dropped from the list -- and exempted from the ban individuals who already held valid visas. That ban, too, was enjoined by federal courts. However, in June, the Supreme Court allowed a modified version of the second ban  to go into effect, with the significant carve out that individuals with "a credible claim of a bona fide relationship with a person or entity in the United States" -- including a student with an admission offer to a U.S. university, or a lecturer with an invitation to speak to an American audience -- would still be able to come. Upon the expiration of the second ban, a presidential proclamation issued in September outlined new restrictions for nationals of eight countries, six of them Muslim majority -- the eight countries are Chad, Libya, Iran, North Korea, Somalia, Syria, Venezuela and Yemen -- and also recommended that nationals from Iraq be subjected to additional scrutiny. Those restrictions -- which vary by country and range from a total ban on all immigrant and nonimmigrant travel for nationals of North Korea and Syria to a limited ban on short-term travel for business and tourism by certain Venezuelan government officials and their immediate family members -- are currently in place. The Trump administration has argued that the travel restrictions -- accompanied by increased scrutiny of visa applicants -- are necessary to prevent the entry of terrorists. In a September statement, the White House described the current travel restrictions as "a critical step toward establishing an immigration system that protects Americans’ safety and security in an era of dangerous terrorism and transnational crime." Opponents have argued that what they describe as a "Muslim ban" is motivated by religious discrimination. Federal district judges have been sympathetic to arguments that the travel restrictions violate the Constitution's ban on favoring or disfavoring any specific religion: in finding that the second of the bans "drips with religious intolerance, animus, and discrimination ," the U.S. Court of Appeals for the Fourth Circuit cited various statements about Muslims made by the president and his advisers, including Trump's call during the campaign for "a total and complete shutdown of Muslims entering the United States until our country’s representatives can figure out what is going on." The U.S. Court of Appeals for the Ninth Circuit did not consider religious discrimination arguments in its ruling on the third ban in December, but did find that the president had exceeded his authority in issuing the travel restrictions and that the indefinite suspension of entry for nationals of certain countries “conflicts with” the Immigration and Nationality Act’s prohibition on nationality-based discrimination. The Supreme Court agreed last month  to hear arguments challenging the third and current version of the ban. In December it ruled that the third ban could go into effect pending the resolution of the lawsuits. As the court challenges continue, the impact of the ban -- both on American higher education's reputation and on the absolute number of students and scholars from the affected countries getting visas -- is already being felt. An Inside Higher Ed analysis of U.S. Department of State data on visa issuances shows big drops both in the number of students on F-1 visas and travelers on short-term B-1 and B1/B2 visas -- a category that would include but not be limited to academics traveling for conferences -- from countries directly affected by the various travel bans. With the notable exception of Iran, it's true that none of the affected countries sent large numbers of students and scholars to the U.S. to begin with. Still the percentage declines are substantial, particularly in light of the fact that the bans were enjoined by the courts for a good portion of last year and that the "bona fide relationship" exemption in place over the summer would have meant that students from the affected countries who were admitted to U.S. universities and scholars with invitations to conferences would technically still have been eligible for visas to come to the U.S. The current version of the ban also continues to allow individuals from most of the affected countries -- all but North Korea and Syria -- to come to the U.S. on student visas. Since the State Department only began publishing monthly data on visa issuances in March, the comparison is roughly adjusted on the chart below to attempt to account for the fact that it compares a 10-month period with figures from the 12-month period that made up fiscal year 2016, the last year for which visa issuance data are available (and the last full year before the first travel ban went into effect). The State Department declined an interview request for this article. There are a lot of factors that can affect visa issuance rates, including local economic and safety conditions -- many of the countries on the travel ban list are sites of conflict and/or economic crisis -- and, for students, the availability of scholarships. The numbers can fluctuate from year to year, but it's reasonable to think U.S. visa policy restricting entry for nationals of certain listed countries or subjecting them to increased vetting is one reason behind some of the recent declines. Though the travel ban itself affects relatively few countries, many in higher education are concerned that a perception among prospective international students that the U.S. is unwelcoming or unsafe and uncertainty about visa policies are among the factors that have contributed to a drop in international enrollments at U.S. universities -- the first such drop in many years. A National Science Foundation report  released last month documented a 2.2 percent decline in international undergraduate enrollment, and a 5.5 percent decline in international graduate enrollment at American colleges and universities in fall 2017 compared to fall 2016. A Council of Graduate Schools survey released Tuesday found a 1 percent decline in first-time international graduate enrollment at responding institutions, including a 16 percent decline in the number of new students from Iran. What's not apparent from the State Department data is whether changes in the number of student visas issued reflect a change in the number of students applying for visas, or a change in the refusal rate. The State Department only publishes refusal rates for the short-term B visas , not for any other class of visa. Even before the ban, refusal rates for short-term B visas were high for nationals of many of the travel ban countries -- 63.89 percent in fiscal year 2016 for Somalians, for example. From fiscal year 2016 to fiscal year 2017, the published refusal rate increased for six of the seven original travel ban countries. What this means for higher education is that it was harder for scholars from those countries to get visas to come to the U.S. for conferences and other short-term academic activities, even if they technically were able to come under the evolving terms of the travel bans. "If indeed science is to benefit people, economically, culturally, personally, and if you want the research enterprise to thrive, you have to pay attention to the basic principles of the free exchange of ideas and the free exchange of people and the ability to collaborate," said Rush Holt, the CEO of the American Association for the Advancement of Science. Holt said that different scientific organizations are reporting "different degrees of impact on their meetings. We have a meeting coming up in February. [For the AAAS meeting] last February, which was just after the first version of the travel ban, we lost not large numbers, but some critical participants. For example, an award winner was not able to make the trip." Tiffany Lohwater​, AAAS's chief communications officer, said that Rania Abdelhameed, an electrical engineer at Sudan University of Science and Technology, received one of five Women in Science Elsevier Foundation Awards and participated in the award ceremony remotely via live video. "Additionally," she said, "we know of four other individuals who did not attend the 2017 AAAS Annual Meeting due to visa policy, either because they were from one of the countries targeted, or had concerns about the policy. One of those individuals was Mohamed Hassan , who is from Sudan and was executive director of the World Academy of Sciences at the time." There are those who can't come to the U.S., and those who won't come due to concerns about the policy. After the initial travel ban was announced, an online petition  calling for a boycott of U.S.-based academic conferences garnered thousands of signatures. Some of the signatories told Inside Higher Ed they continue to boycott conferences to protest U.S. policies. "My rationale then, which continues now, and which I have told to the people inviting me, was the following: I am not happy attending a conference where, had I been a citizen of a 'wrong' country, I would not have been allowed to enter. It is not fair," said Gustau Catalán, a research professor at the Catalan Institute of Nanoscience and Nanotechnology, in Barcelona, Spain. "I have made that position known to all my colleagues as well as to everybody in the mailing lists of the three invitations I have received from the U.S. last year. Let us say that, within my community (I work on oxide nanophysics and ferroelectrics), my absence and its reasons have been noticed," Catalán said via email. "As for prolonging the boycott into the future … that is a difficult question that I am grappling with at the moment. On the one hand, the judiciary in the U.S. is reining in, to some extent, some of the Trump initiatives … And there is also a more selfish consideration that, by opting out of the U.S., I am opting out of the main events to showcase my research," Catalán said. "I am also disappointed to see that, while getting sympathies from most of my colleagues, I am still the only one I know who is boycotting, and a boycott of one has a bigger effect on the boycotter than on the boycotted. So, yes, I do question my position. I am not giving up yet, though." Brenda Beagan, a professor of occupational therapy at Dalhousie University, in Canada, characterized her decision to boycott professional and personal travel to the U.S. as a more common choice in her circles. ​"I don't even consider any conferences in the U.S. anymore," she said. "I have numerous friends doing the same in a huge range of disciplines, some missing out on important opportunities." One of those people who have faced difficulties is Ahmed Dardir, a Ph.D. candidate in Middle East studies at Columbia University who said he has been unable to return to the U.S. after he finished writing his dissertation in Cairo. An Egyptian national, Dardir has mostly lived in New York City since 2011. Egypt is not one of the countries covered by any of the various travel bans. "I was supposed to head to the U.S. in November for my dissertation defense," Dardir said via email. "On November 18th, 2017, I was on my way to New York via Abu Dhabi. There is a U.S. immigration unit at the Abu Dhabi airport which grants entry, and the flight from Abu Dhabi lands in [John F. Kennedy Airport] as a domestic flight. I was stopped by the U.S. immigration unit at Abu Dhabi. After some questioning I was given an entry stamp and allowed to board the plane, but a few minutes later I was asked to leave the plane for further questioning. I was subjected to a lengthy and absurd questioning for about six to seven hours. After the interrogation was over I was told that they were canceling my visa and crossing out my entry stamp. I was asked to sign a statement to the effect that Homeland Security could not establish that I was entering the US for non-immigration purposes and that I thereby withdraw my visa. I objected to this characterization given that I had all the paperwork proving my university affiliation." Dardir said Homeland Security officials searched his laptop, iPad and phone -- the laptop, he said, was confiscated and only just returned to him last week -- and asked him about his personal opinions and beliefs. "They also asked about my religious beliefs and were particularly adamant that I identify as Sunni or Shi'i even though I tried to explain to them that this distinction is not relevant to me," he said. "They also asked me about my previous travels and showed suspicion and hostility every time I missed to mention a trip. I was also asked whether during my stay in New York I had met people from certain countries (I do not remember the list of countries, but I remember they were predominantly Arab and Muslim countries). I responded that during my study at Columbia I met people from all over the world. After the official 'interview' was over, another interrogator came in, started discussing my personal views again, and after asking me to explain to him what 'salafis' are, he asked whether I had any names or phone numbers of salafis or people with extremist views which I could share with him. I didn't have any." Asked about Dardir's case, a spokesperson for U.S. Customs and Border Protection said in a written statement, "It is important to note that issuance of a visa or a visa waiver does not guarantee entry to the United States. A CBP officer at the port of entry will conduct an inspection to determine if the individual is eligible for admission under U.S. immigration law. "As the agency charged with determining admissibility of aliens at ports of entry, under U.S. immigration law Section 291 of the INA [8 USC 1361] applicants for admission bear the burden of proof to establish that they are clearly eligible to enter the United States. In order to demonstrate that they are admissible, the applicant must overcome ALL grounds of inadmissibility," the spokesperson said. "INA § 212(a) lists more than 60 grounds of inadmissibility divided into several major categories, including health-related grounds, criminality, security reasons, public charge, labor certification, illegal entrants and immigration violations, documentation requirements, and miscellaneous grounds." Dardir said he has applied for another visa, which is currently being subjected to an additional layer of review -- common for applicants from the Middle East -- known as "administrative processing." He said Columbia has given him the option of defending his dissertation virtually. "For now we have postponed the defense in the hope that the situation may be solved." He said the situation has affected his academic and professional plans in many ways. "While on the short term I may be able to defend online, this has greatly impacted my ability to apply for jobs in the U.S., or to be able to travel to the U.S. for conferences or workshops. Given the centrality of U.S. universities to academia, and the general dearth of academic positions, this puts me in a very difficult situation."